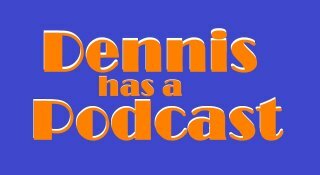 It has been way too long since we talked with our buddy Dennis from Dennis Has a Podcast. If you think about it, the two shows I did with him last year are what encouraged me to give the Nosh Show a try and you know I've been enjoying that. Ok, go here to listen to the show. 7) Pints of Ben & Jerry's Ice Cream(we skipped the new froyos): Chocolate Peppermint Crunch, Coffee, Coffee Buzz Buzz Buzz!, Pina Colada limited edition, plus exclusive flavors: 7-11 Nutty Caramel Swirl, Walgreens Truffle Trifecta, Walmart gets Chocolate Peanut Butter Cup and Cotton Candy, Target gets Peanut Butter Jam Session and Rockin' Blondie. Thanks again to Dennis for having me on the show, it's always fun spreading the love of ice cream! Hopefully we'll get a few surprises in the next few months and we can do a end of season or holiday show with him. I had 6 pretty good considering! Haha, 8 and all but one come from that list of Ben & Jerry's!